Unless you’re living in a bungalow, your bathroom probably isn’t too big and while you may be short of space, it shouldn’t lack in style. 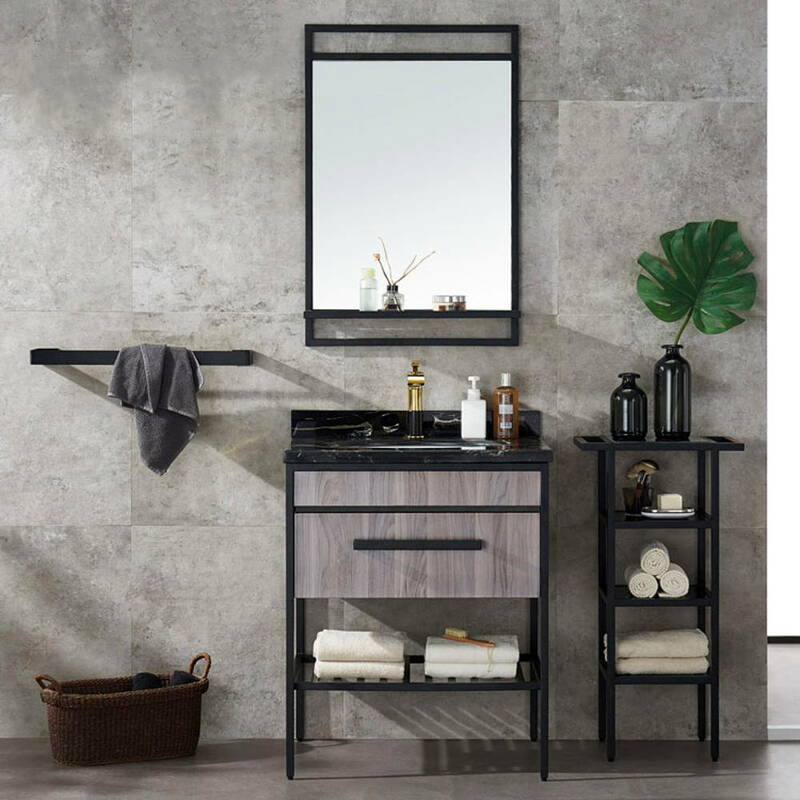 Forget about new coats of paint or an entire remodel, all you really need to give your bathroom a facelift is stylish fixtures. Check out these faucets, sinks, and shower heads that are just dripping with style. When it comes to choosing faucets, we suggest you pick up pieces that contrast with your bathroom finishes. Nobody wants a boring bathroom that takes on a matchy matchy theme, more so in a small space that could feel cramped. 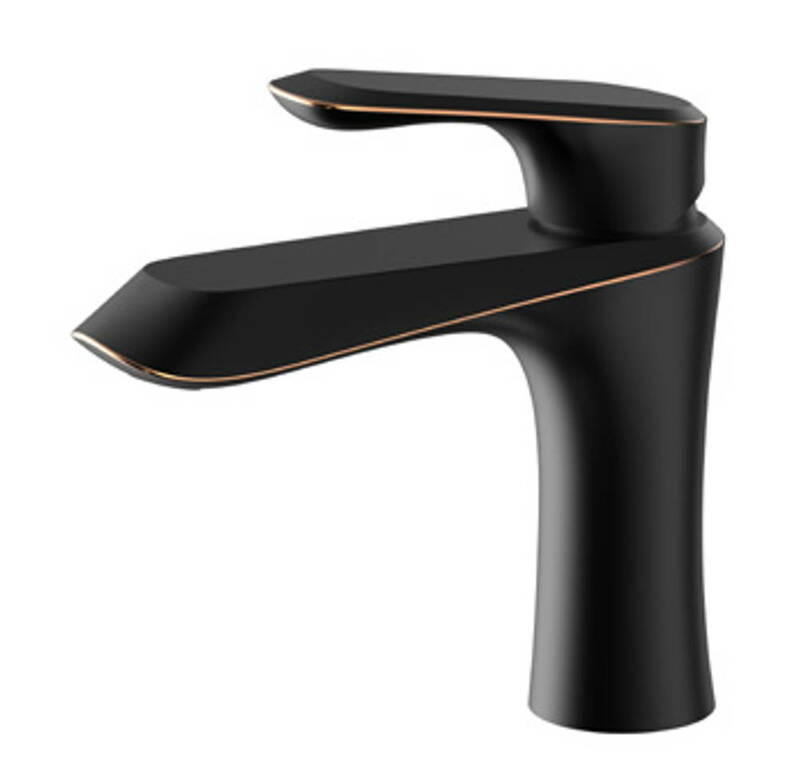 This uniquely shaped faucet features a matte black finish with gold trimmings that add just the right amount of class. This small addition can give your bathroom a transformative effect that is both refreshing and stylish. Give your bathroom the royal treatment with this gold and silver number. The surprising hue will be a perfect contrast against the white walls of your bathroom, giving smaller rooms an attractive focal point. 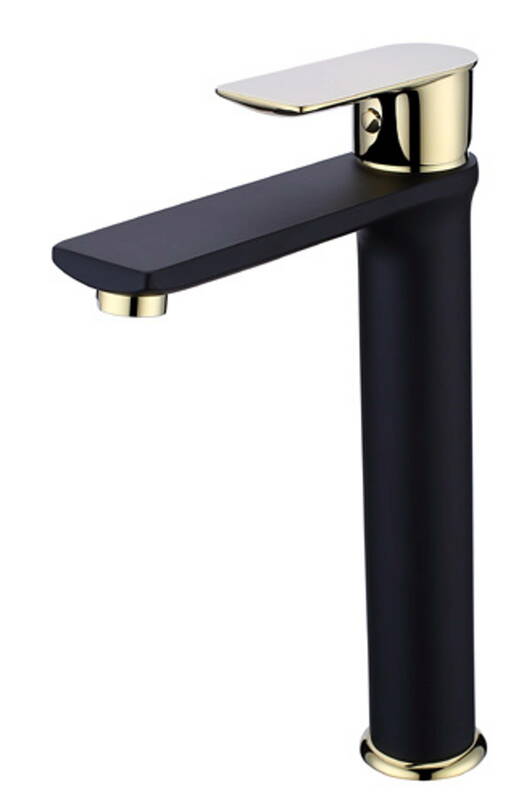 For a bolder option, consider this tall black and gold faucet that just screams class. 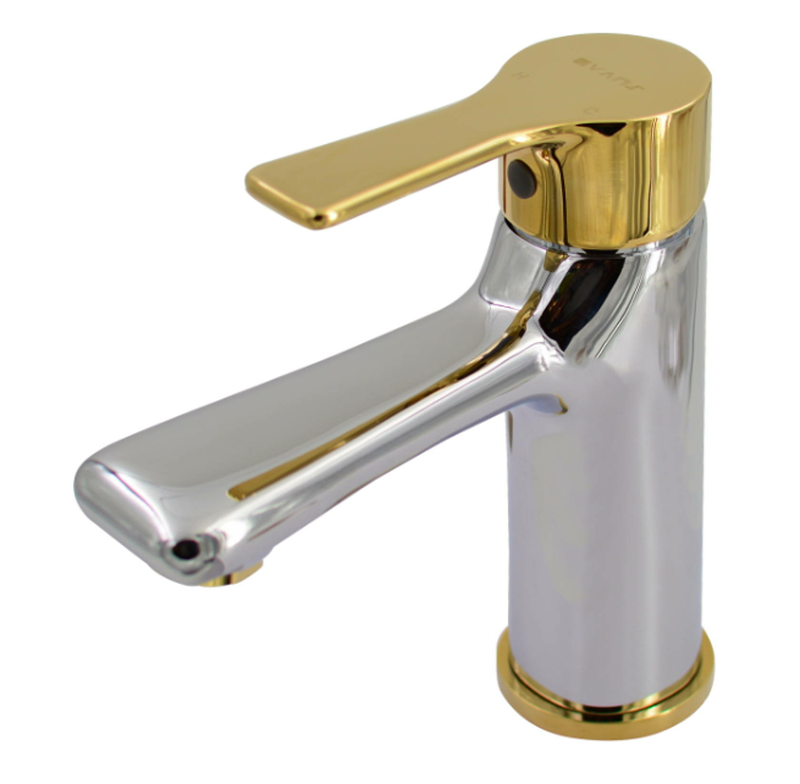 This highly durable brass tap would look stunning against a white or marble counter. 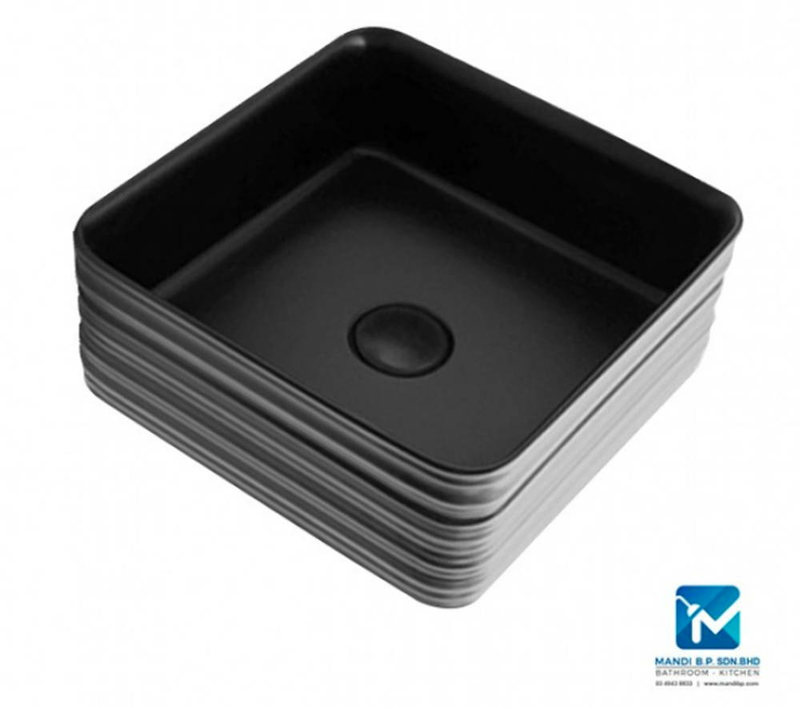 If you want the gold features on the faucet to stand out, consider a purchasing a black basin. You don’t have to include loud designs to make a statement in the bathroom. 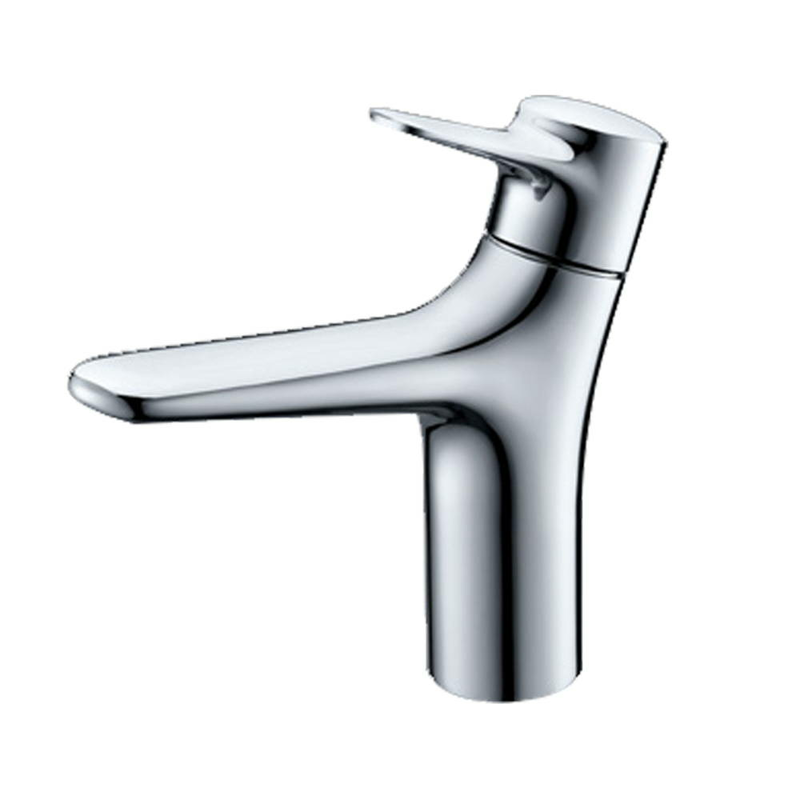 This sleek faucet is sure to give you a glint of a subdued yet stylish finish. 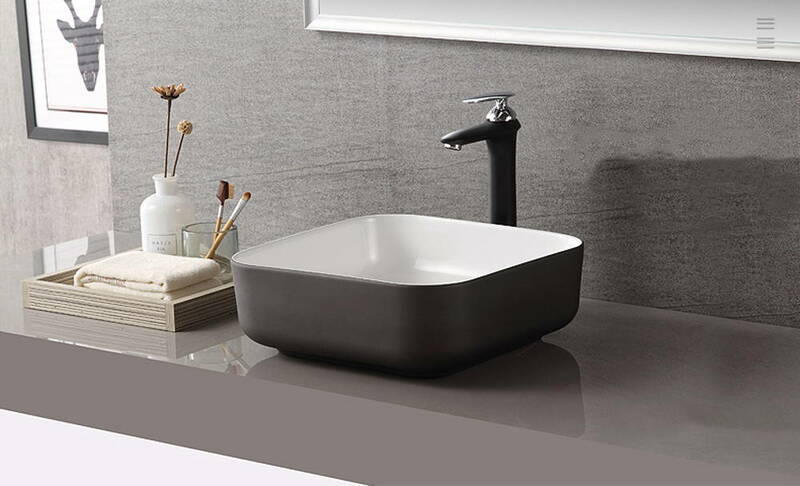 If faucets don’t make a big enough statement in your bathroom, consider changing up your basin instead. 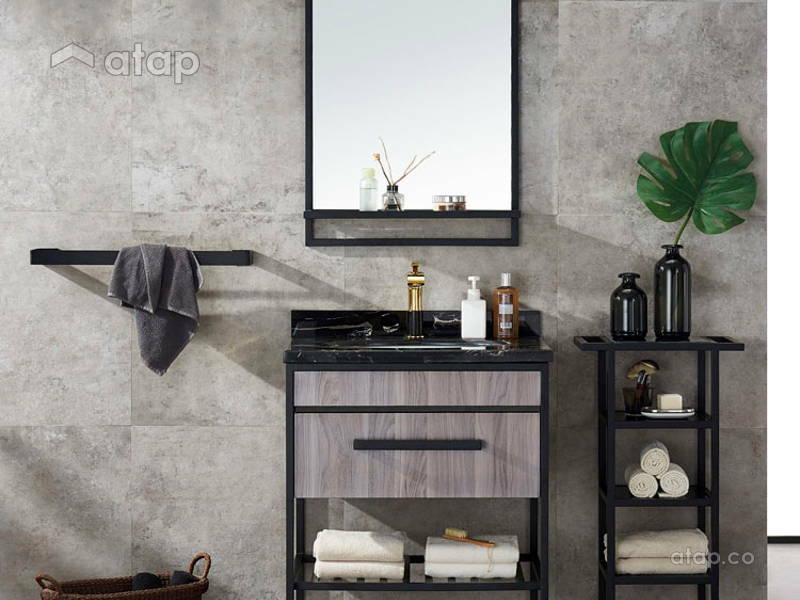 From simple yet striking sinks to elaborate works of art, these bathroom additions will liven up even the smallest of spaces. 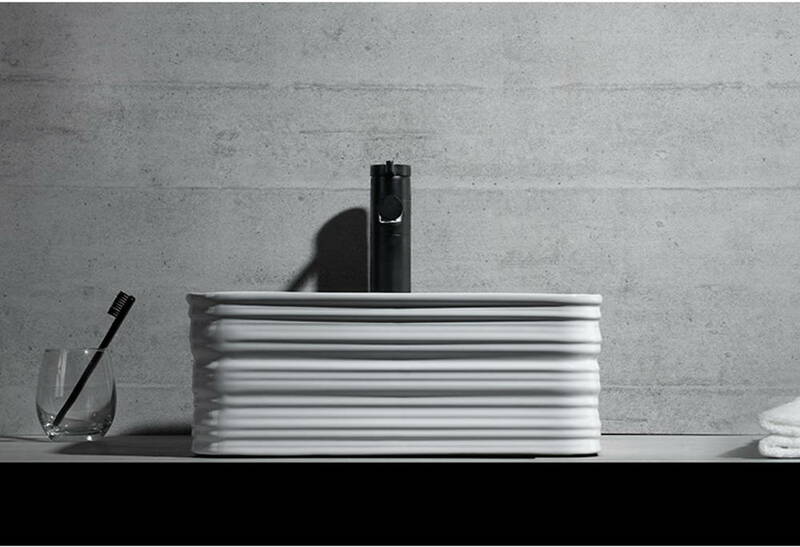 For a subtle change, this square ceramic basin designed with grooves will give your bathroom a distinct look without being too overbearing. But if you want more drama and character, opt for the black version. Finding the perfect bathroom sink doesn’t have to be a challenge, just like finding the perfect outfit (or pet) you’ll know at first sight. This grey-hued countertop sink is subdued yet oh so chic that it immediately caught our attention. The darker outer hue contrasts perfectly with the pristine white interior to create a beautiful statement piece in your bathroom. 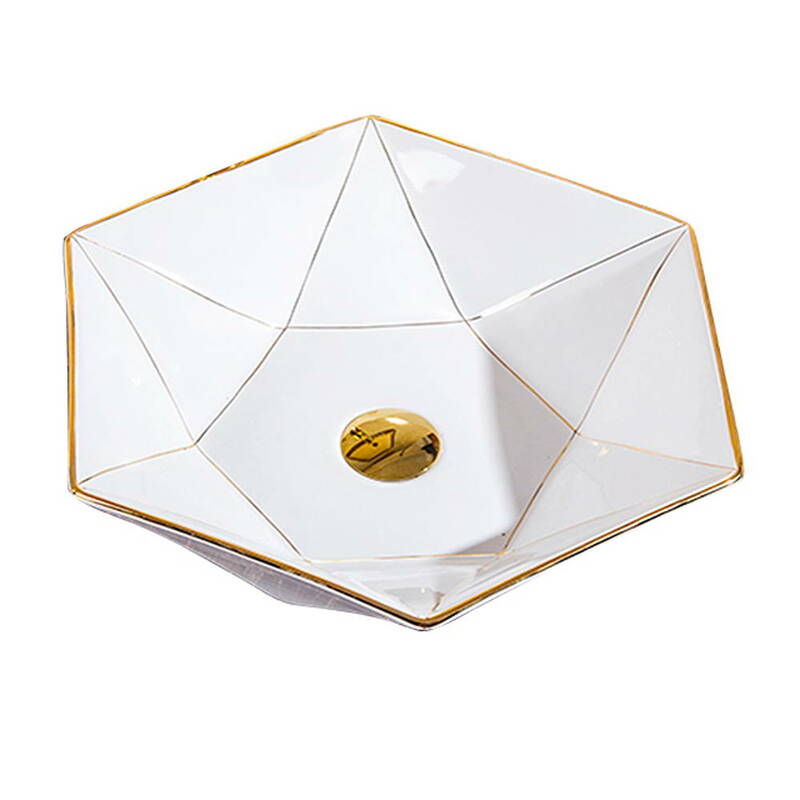 Let your bathroom truly shine with these gold and white basins that play double duty as a sink and work of art. 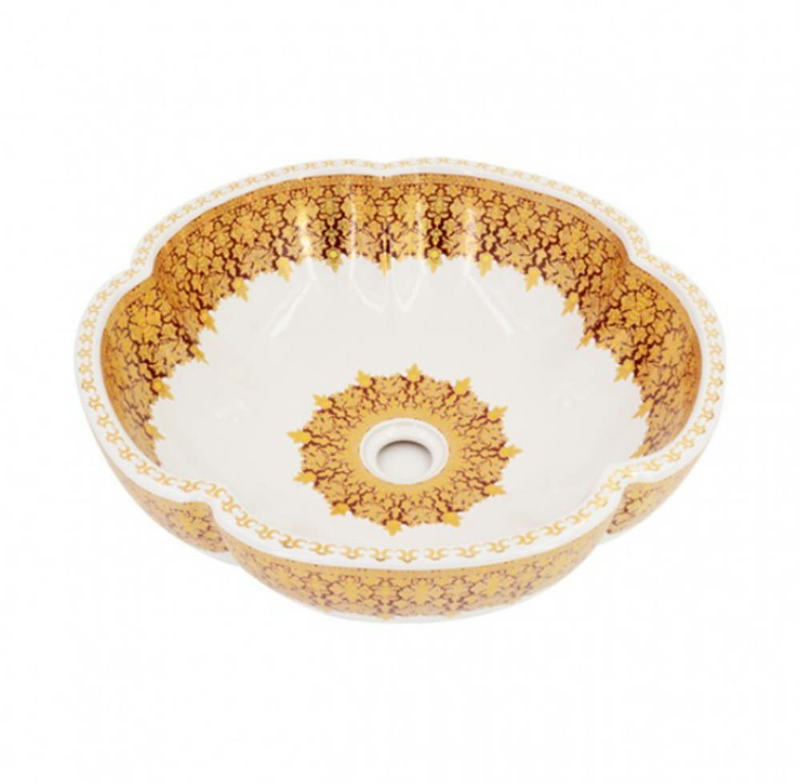 These shapely basins call for your attention while looking regal with the gold trimmings and features. 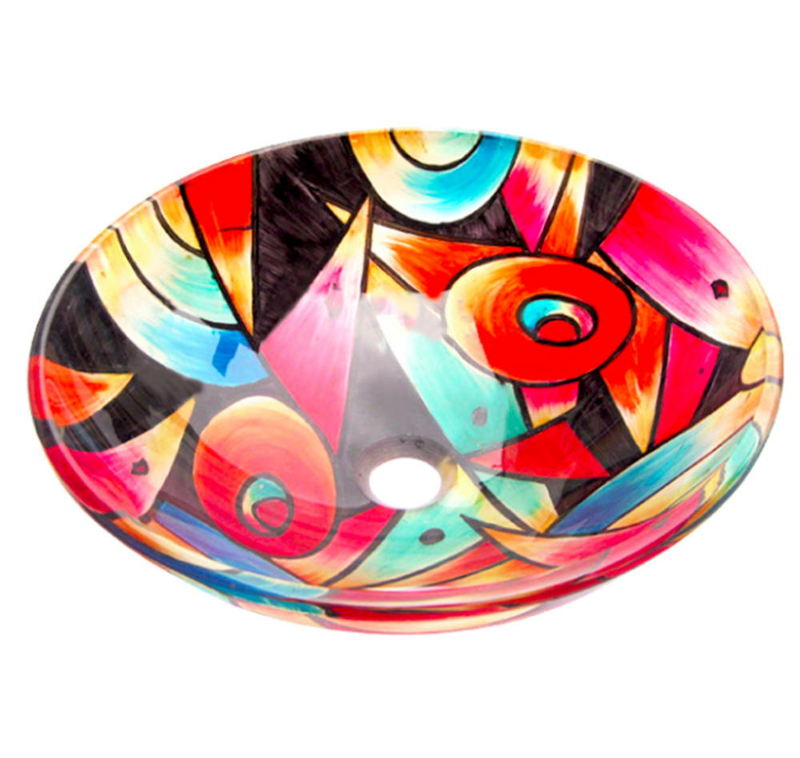 When subtle just isn’t the way to go, this bold art glass basin is the answer you’ve been looking for. Colourful and fun, this basin will instantly give your bathroom a new lease on life. The print demands attention and will be the focal point of your entire space. 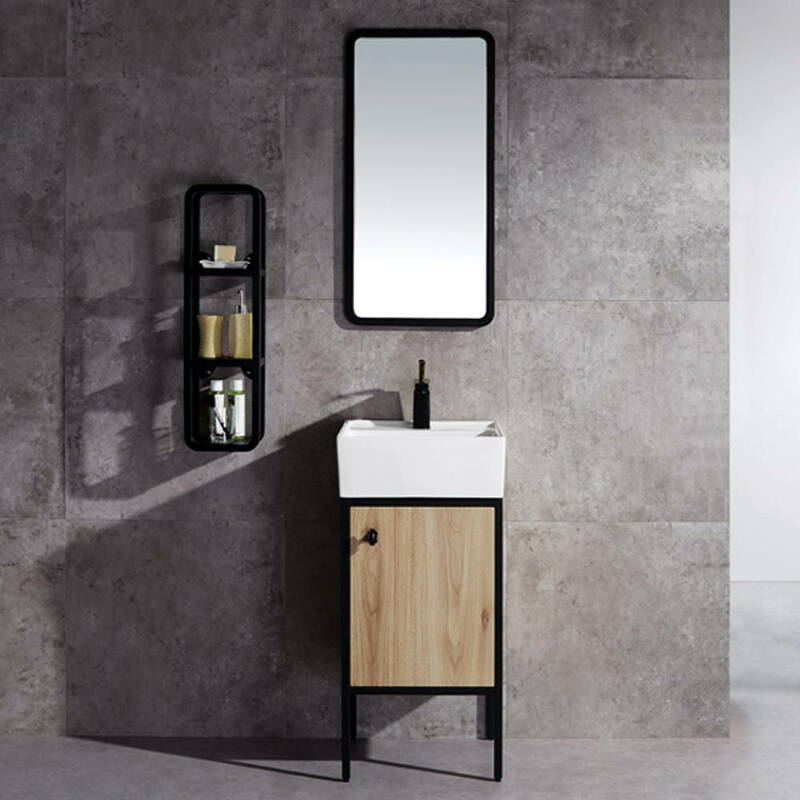 If you’re looking for a major makeover, consider these gorgeous basin cabinets that take on the oh so popular industrial theme and give your bathroom an edgier stylish feel. 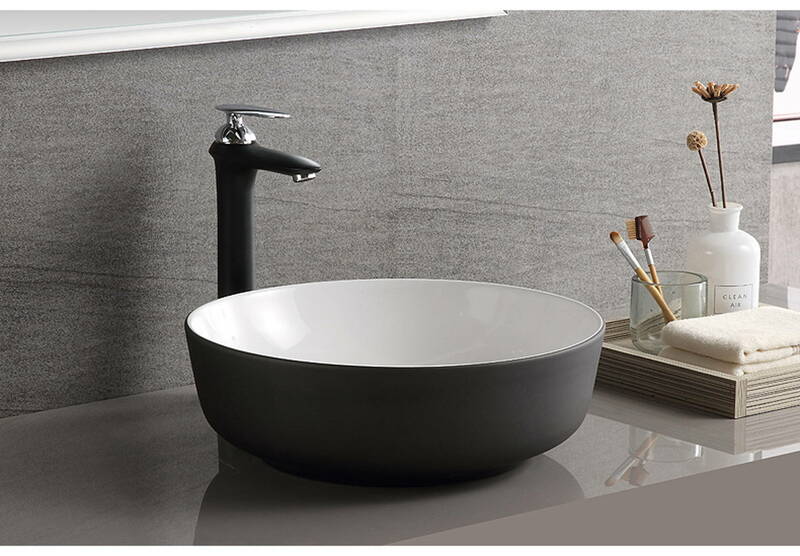 For bathroom basin cabinets, bathtubs, faucets, showers, and more, visit Mandi B.P. today.